Primary Election being held on Sept 11, 2018. @ 7:00 pm Residents are welcome to attend. Phil and Bonnie Jennison, 125 Baer Road, are seeking a VARIANCE to Section 7: Land Space Requirements Table, Table 7, Footnote 9 to permit a lot line adjustment between Tax Map 3, Lots 7-3 and 7-4 to allow for a 9,500 square foot exchange of land between the lots resulting in a gross area of two (2) acres per lot; and an EQUITABLE WAIVER of Dimensional Requirements, Section 7: Land Space Requirements Table, Table 7, Footnote 2 to permit the existing dwelling at 125 Baer Road to be less than 50’ setback from the Baer Road and Fresh Creek Road lot lines. 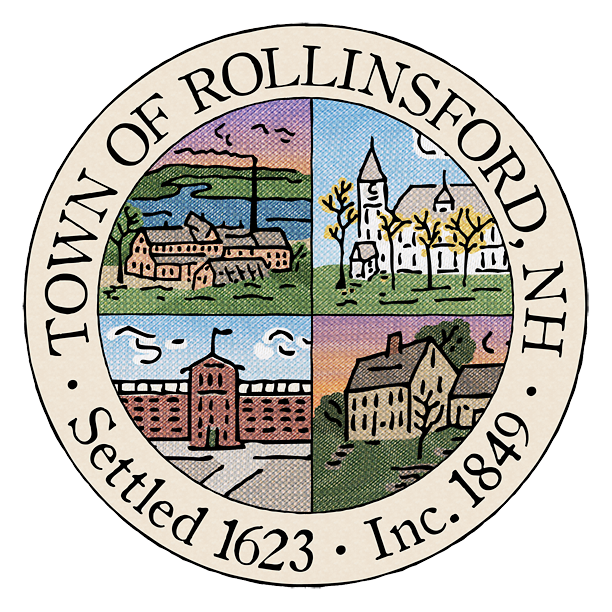 At the Rollinsford Town Office to hear feedback about proposed changes to the Transfer Station Ordinance. (Please refer to this document for the Board’s original plan). Woodlands: the development was completely reclaimed, sufficient gravel was added to bring it to current standards and a binder asphalt coat was applied. We expect to topcoat the entire development in 2019.. Shoulder work will be completed by the Highway Department this July. Roberts Farm: we reclaimed the planned section with the addition of sufficient gravel to bring it to current standards and applied a binder coat. Shoulder work will be completed by the Highway Department in July. In addition, as planned, we dug out the “roller coaster” at the beginning of Heritage Drive. The Pike construction crew found and removed old construction debris under this section of Heritage, causng the heaving and settling that has been occurring in this part of the road. The crew went down about six feet, removed several loads of debris and refilled the hole with good gravel and construction fabric to try to mitigate the heaving problem. We are hoping that this will slow or stop the reacurring problem. Because of the substandard base of the entire development, we will now plan to complete a full reclamation of the remainder of Heritage and Moses Carr, add a gravel base to bring it to current standards and apply a binder coat. We expect to be able to do this in 2019 but we are unclear whether the final topcoat will be done in 2019 or delayed to 2020. The maintenance of driveway culverts is the responsibility of the homeowner but the town has an interest in seeing that they are installed and maintained such that they provide for sufficient drainage and are built to current standards. The Board is working with Road Agent Guilmette on a plan to provide homeowners with culverts at cost and have the installation completed by the Highway Department. Stay tuned. The Board is working with Road Agent Guilmette on additional minor road repairs for this year to include work on Oak Street in coordination with the City of Dover. Please stay tuned.